They’re the five, immensely talented guys who make our hearts skip a beat and they leave us all on Cloud 9, they’re the one and only, In Real Life. This remarkable, boy band sensation has and continues to sweep fans off of their feet with their incredible and unrivaled talents, their charming personalities, and their good looks. 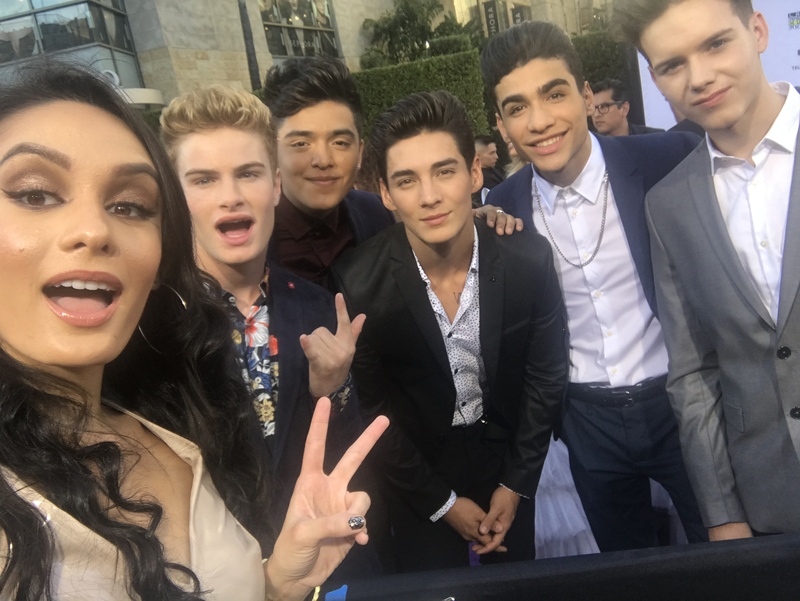 After an exciting journey on the show, Boy Band, these five, extraordinary guys: Brady Tutton, Chance Perez, Sergio Calderon, Michael Conor, and Drew Ramos were all destined to join together as one of the greatest boy bands on this planet. With their hit single, “Eyes Closed” and their new Christmas songs “Feel This Christmas” and “I’ll Be Home For Christmas,” In Real Life’s music is something we can listen to endlessly and we can’t help swoon over them each and every time that we do. In Real Life never fails to amaze us all and surpass everyone’s expectations. They have been mesmerizing us all with their wonderful and spectacular performances and they will even be performing at the upcoming KIIS Jingle Ball. In Real Life is taking over the entertainment world by storm and we know that they will continue to have a lot more magnificent things in store for all of us to enjoy and fangirl over. I, Alexisjoyvipaccess had the great honor of covering the 2017 Latin American Music Awards and had an exceptional time catching up with and interviewing the phenomenal In Real Life again at the event. In Real Life dished exclusively to Alexisjoyvipaccess all about what it was like for them being at the Latin AMAs, what are some of their other upcoming projects that they are working on that fans can look forward to, and so much more only in our VIPAccessEXCLUSIVE interview. In Real Life even revealed what are some of their pre-show rituals before a performance – hear what they had to say in our VIPAccessEXCLUSIVE updated interview below. Thanks for another fun interview, In Real Life! Check out my VIPAccessEXCLUSIVE interview with the remarkable In Real Life at the 2017 Latin American Music Awards below! Previous VIPAccessEXCLUSIVE: Abraham Mateo Interview With Alexisjoyvipaccess At The 2017 Latin American Music Awards! Next ﻿VIPAccessEXCLUSIVE: Manuel Turizo And Julian Turizo Interview With Alexisjoyvipaccess At The 2017 Latin American Music Awards!